McALLEN — The University of Texas System solidified the appointment of James Milliken as the new chancellor during a special meeting held Monday afternoon. The regents voted unanimously to appoint Milliken as the UT System’s 12th chancellor during the meeting conducted via telephone conference. The meeting began at 1:30 p.m. and the vote came shortly before 2 p.m. after the regents reconvened in open session. Milliken was announced as the sole finalist for the position early this month and is now scheduled to take over the leadership role Sept. 17. He will succeed former chancellor William McRaven, a retired U.S. Navy admiral who stepped down at the end of May citing health issues. Milliken has 30 years of administrative experience leading major university systems in three states. Most recently he led The City University of New York as chancellor, where he was in charge of a network of 24 campuses and more than 270,000 students. Milliken and his wife, Nana Smith, sat at the boardroom during the vote and addressed the media after the appointment and was quoted by system officials stating the importance of creating strong connections with state government officials. The new chancellor holds a bachelor’s degree from the University of Nebraska and a law degree from New York University. Before his official start date, the board also moved to make him a UT System employee immediately as chancellor designee with no salary pending an official letter agreement that must first be submitted to the board for approval. 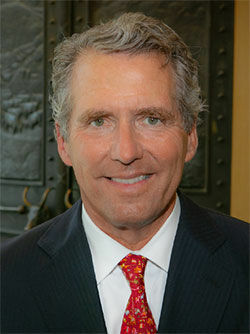 After the vote, Milliken told the media that the UT-System position was the only one he would have left New York for due to its potential. And as far as some of his goals for the system, he said he would focus on affordability and access for students. “Based on my record and my interests, you can expect they will be about having broad, affordable access, having the highest quality faculty, and having every tool in place so students have the best chance to be successful,” he said, according to a UT System post.